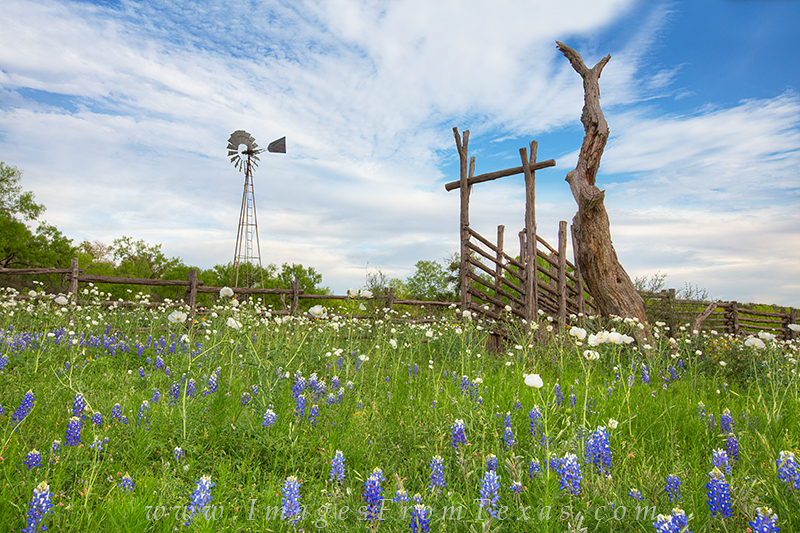 Bluebonnets and White Prickly Poppies cover a small field in the Texas HIll Country. In the background, an old wooden fence connects to a corrall, and a windmill rises into the cool springtime air of an April evening. Photo © copyright by Rob Greebon.